Public transportation users and bus drivers on the Colonia Campo Cielo route in Tegucigalpa, Honduras are getting a message – violence against women is unacceptable and needs to stop. The message is being spread through trainings and installations on local buses that will run the entire month of December. 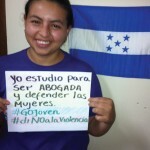 The youth-led campaign, spearheaded by GOJoven Honduras, in partnership with local transportation company EMTRUICA Honduras, aims to put an end to violence against women by encouraging people to report sexual harassment and domestic violence. This local campaign coincides with “16 Days of Activism against Gender Violence”, an international campaign that runs from November 25th to December 10th that calls on individuals and groups around the world to act to end all forms of violence against women and girls. 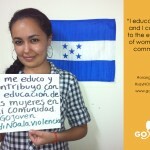 To begin the campaign, GOJoven Honduras provided 125 drivers and administrative staff of EMTRUICA Honduras with training workshops on domestic violence and conflict resolution. Part of the trainings included youth sharing their personal experiences of dealing with gender-based violence through a collection of short videos known as the GOJoven Digital Stories. To signify their commitment to addressing violence against women, transportation operators have adopted the phrase: “We Are Not Part of the Problem, We Are Part of the Solution”. One day a week, these operators identify themselves as active supporters of the campaign by wearing a purple uniform, purple being the color used internationally in campaigns to end violence against women. 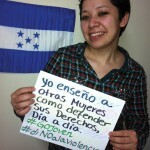 Prior to beginning the month-long campaign, GOJoven Honduras completed a baseline study to assess the perceptions of transportation users and drivers around gender-based violence. The results of this study will be used to assess perceived changes as a result of the campaign. Stay tuned for more information on the results! 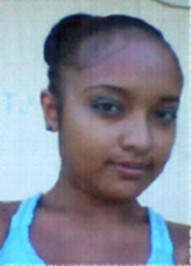 To support these youth in their efforts to end violence against women, make a contribution here.